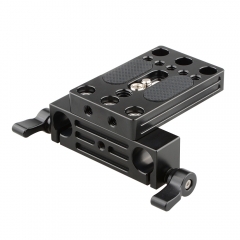 • The baseplate setup is equipped with a quick release plate with both 3/8"-16 and 1/4"-20 camera screws for easy and quick attach & detach of your camera. 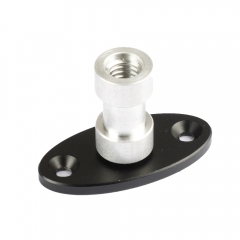 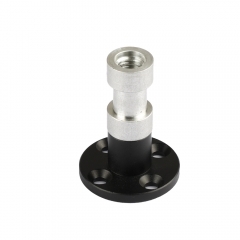 Additionally, it allows to make back and forth adjustments along the ARRI dovetail bridge plate, which delivers convenient and stable tracking shot. 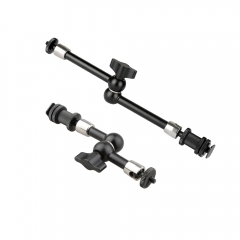 • The V-lock wedge on the underside of the baseplate can be locked firmly onto the Sony VCT-U14 tripod adapter, which can then be mounted onto a tripod for more flexible use. 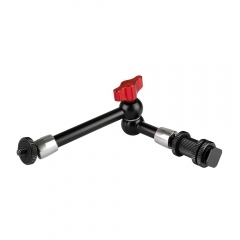 Alternatively the baseplate’s quick release mechanism allows you to easily detach it from the VCT-U14 and switch to a shoulder rig / handheld configuration. 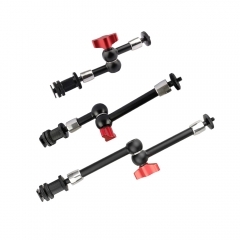 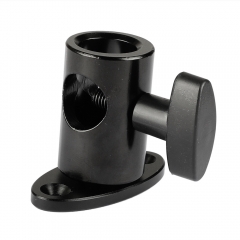 • The baseplate comes with 15mm double rods (150mm long) to mount accessories like a follow focus for EVF, there is also a 15mm double-rod adapter on the other end, providing more space for accessories. 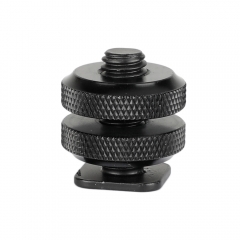 • With built-in ergonomic shoulder pad, it provides ultimate comfort while your hours of shooting. 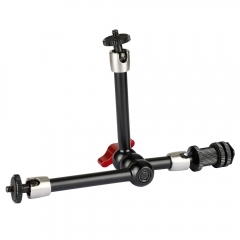 It is universally applied to all types of cameras from DSLRs to large video camera models like RED and ARRI Alexa.